Dr. Ruby Thomas is a board-certified pediatrician and has specialized training in preventive medicine combining her passion for health care and health education. Her interests include nutrition and integrative medicine. Dr. Thomas is a native of Atlanta. Sickle cell disease is a blood disorder affecting approximately 100,000 people in the United States, most of them African-American. It is a complicated disease, and according to a February 2015 study in "Anemia," even some family physicians find it difficult to manage. Sickle cell disease can affect any organ system in the body and can lead to many complications. All patients with sickle cell disease will suffer from chronic anemia. Because there is a problem with the shape of red blood cells, they break easily and get clogged in blood vessels. Acute episodes of anemia can also occur in a person with sickle cell disease. These episodes sometimes require treatment with blood transfusions. In addition, those with sickle cell disease may have weakened immune systems and be more susceptible to infections. For this reason, people with sickle cell disease should seek treatment immediately if they have a fever or become ill. Pain is one of the major symptoms of sickle cell disease. Pain can be caused by sickle-shaped blood cells getting clogged in blood vessels and can happen anywhere in the body. Common sites include the arms, legs, abdomen and chest. By age 2, about half of children with sickle cell disease will have painful swelling of the hands or feet, a syndrome called hand-foot syndrome. This is often one of the first symptoms of sickle cell disease. People with sickle cell disease are also at increased risk for strokes. These strokes may be symptomatic or asymptomatic and may happen as early as age 1. Up to 20 percent of people with sickle cell disease may have a stroke before age 18. The lungs are a major organ affected by sickle cell disease. Those with sickle cell can have asthma and pneumonia. In instances where the blood flow is cut off to the lungs or there is infection, acute chest syndrome can develop. Acute chest syndrome is defined as fever, chest pain, cough and x-ray changes that occur in a person with sickle cell disease. In adults and children with the disease, this is a very common cause of death and the second most frequent reason for hospitalization. Over time, sickle cell disease can also lead to changes in the heart, leading to poor heart function and potentially heart failure. Any organ system in the body can be affected by sickle cell disease. People with this disease are at risk for kidney failure, liver disease, gallstones, eye disease and bone disease. 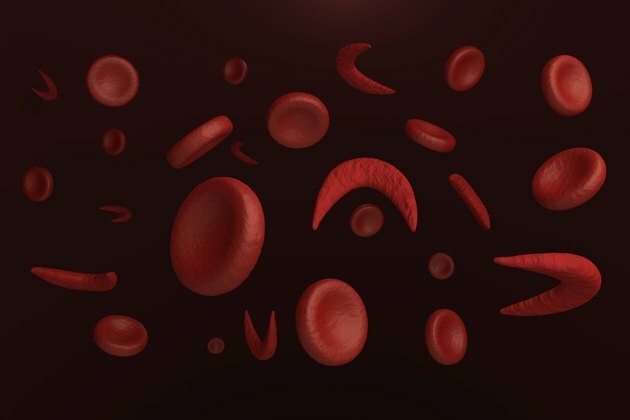 Some of these complications can be life-threatening, and anyone with sickle cell disease experiencing symptoms should seek medical treatment immediately. If you or someone you know suffers from sickle cell disease, talk to your doctor for more information. Nelson's Textbook of Pediatrics, 19th Edition; Robert Kliegman et al.